Years ago, buying a video game for a child was a simple affair because every game was made for children. As kids grew up, however, so did the content of many video games. Now parents wonder: What games are appropriate? How do you choose? When should kids start playing? And with the holiday season a frenzied time of year when retailers offer crazy discounts and major game releases, it can also be overwhelming for shopping-weary parents. 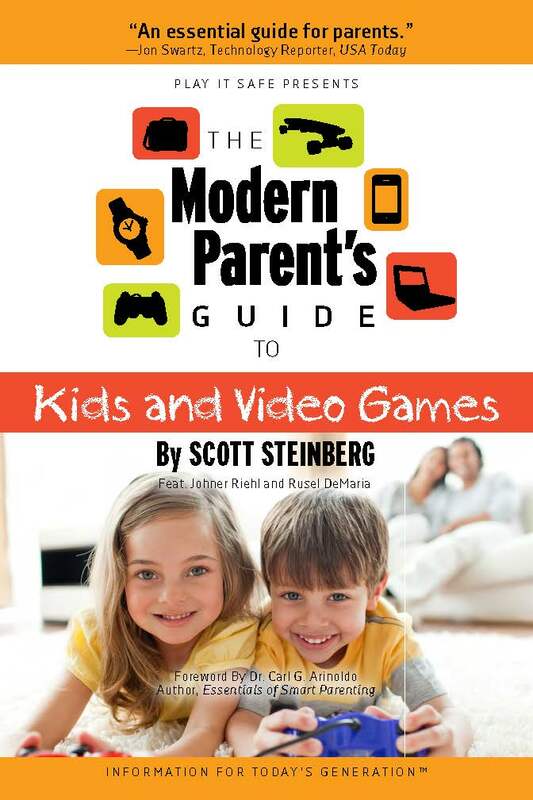 This guide presents a comprehensive discussion of kids and video games.[PDF]. 1) Gaming is another parenting challenge. 2) Play WITH your children. The vast majority of people who play games do so with friends and family; about one-quarter play with their parents. Not only does playing together provide an activity to share, but you’ll better understand what games your child likes and what kind of content you can expect to see. 3) Be sure to set limits. Parents should set clear boundaries on the games kids play and for how long. Create a healthy balance between time spent gaming and other recreational and social activities. Game consoles should also be set up in a family room or other area where you can keep an eye on gaming sessions, rather than cloistered in a kid’s bedroom. 4) Look beyond the ratings. Two games could have the same rating and be drastically different in content. It’s the responsibility of a parent to do the homework, try out all games and look beyond the descriptions before choosing a game and exposing kids to it. For a starting point on identifying games by ratings, click here. 5) Watch for negative effects. There is much debate over whether video games make children more aggressive or are detrimental to their cognitive development. If you notice any behavioral changes in children while they’re playing or after they’re done, reevaluate the situation. 6) There are positives to gaming. Video games can teach kids lifelong skills like empathy, teamwork, problem solving, consequences of decisions, and how to work and play with others. As long as it’s done in moderation, children can benefit from playing video games. Parents magazine outlines three additional surprising benefits to kids and gaming. Commonsense Media, a group that rates, educates and advocates on behalf of children, offers this 2014 Holiday Gift Guide that breaks down gifts by age group and offers suggestions ranging from books and movies to apps, video games and computer resources. Do you know which games to steer clear of to avoid sleepless nights and uncomfortable questions from your kids? CBS News names the best and worst video games this holiday season, including the ratings and why the games are problematic. This list contains recommendations for kids who are fans of different types of games, ranging from sports to fantasy to history and beyond.